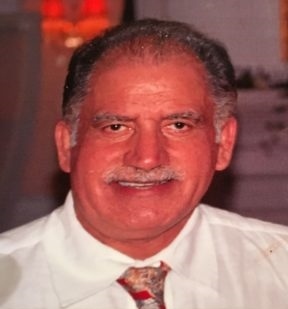 Editor’s Note: Mr Hiralal Koul, MD (now retired), a resident in Johnstown, PA, took umbrage at the lead article titled “Unsettling Early Days of Trump’s Presidency” in the July issue of the magazine. Mr Koul, after a few acerbic e-mails, gave his permission to publish his response, provided we “publish [his] letter in its ENTIRETY (& not an editorialized version).” So, here is Mr. Koul’s response in its entirety, without changing one word, one letter, or one comma. 1) Defense, Security & Terrorism. a) ISIS/Daesh (that Obama called a JV team) & “we’ll try to contain it”; has Largely been Vanquished & holds NO land anymore. This is something, Obama failed to accomplish, in Nine years. b) Following Trump’s historic trip & Speech to Saudi Arabia; it’s the FIRST TIME, in over 70-years (since SA’s independence), that this Country (the Heart of Islam), BROKE ranks with Qatar, for supporting/Financing Terrorism. Qatar, has been playing both sides, for years. Thanks to Obama Administration; it’s HOME to the largest US Military base. This is the country, where Obama Exchanged, Top FIVE Taliban Commanders (from Gitmo), for the Traitor, BO Bergdahl (referred to as a good soldier by Susan Rice-former NSA). Suggest you read more about this issue & BenGhazi Betrayal, by former Navy Seal, Tej Gill (aka- Tenminder singh, first Indian born US Navy Seal). Gill, has accused, Obama / Clinton Administration personally, of Murdering the American Marines in BenGhazi. Suggest, you also, “look into”, how the “Muslim Brotherhood” in the Obama/Clinton Administration; orchestrated, the exit of “Tulsi Gabbard” (the only practicing Hindu Congresswoman from Hawaii). This position was later filled with Keith Ellison, (a Muslim Convert from Minnesota); an ardent supporter of “Sharia Law”. Furthermore, you may want to “Look into”, who the former, disgraced DNC- chair (Debbie Wasserman), hired as a New IT, personnel; who was just arrested, before fleeing US for Pakistan! For the first time, since Independence, a $50-Million, package to Pakistan was blocked by the Trump administration; : This is in Sharp contrast, to the $15-Million cash, Hand Carried by Hilary Clinton, as secy: of State (in Obama administration), for the Pak: Military for preventing firebombing a US convoy carrying aid to Afghanistan. Since Trump inauguration, illegal Border crossings have dropped by 70%, along our Southern border & ZERO, along the Pakistan/ Kashmir border!. 6) First Time, since NATO was created; it’s Non US members; have agreed to pay up their (2% of that country’s GDP) & Incorporate, anti-terror, measures into NATO, Charter. In the process, US taxpayer (I hope you are one); will NOT be burdend with it. it! 2) Economy, Jobs, GDP: a) GDP, has increased from 1% (in Obama administration to 2.6%, now). b) Unemployment has dropped to 4.5%, lowest in about 20-years. c) Average wages are up by 2.5%. d) Consumer spending has increased. e)Trade deficit, has decreased, albeit modestly, first time in over 35-years. f) stock market has recorded 50-NEW records, since Election Night, a 3500-points, increase in DOW & infused 3-Trillion Dollars, into the US Market. These numbers are from the Article “Trump effect”; by CNN-money (no friend of Trump). 3) Foreign & Domestic investments, into US: Carrier, Ford, GM, Fiat Chrysler, Toyota & Mazda, while, BMW’s plant in SC, will become the Largest plant in the World. 4) Soft Bank, Foxconn, Mahindra, TransLux (china), will invest in US; about 3-Trillion Dollars. 5) For the first time, since the Birth of this Nation; US is becoming an Energy Exporter! 6) VA reform & incompetent employees can be fired (& have been), since VA was created. Finally, I’d take issue with your spin of “Unsettling Days” & argue, Future for me (in my adopted Country); is far more Optimistic, Safe, Confident & Bright. That said; I’m under no illusion that “Trump Haters”, would accuse the president (Trump), of Destroying the livelihood of Cancer Doctors; should he discover, a Cure for Cancer tomorrow! This entry was posted on January 6, 2018, 9:32 am and is filed under January 2018, Past issues. You can follow any responses to this entry through RSS 2.0. You can skip to the end and leave a response. Pinging is currently not allowed.